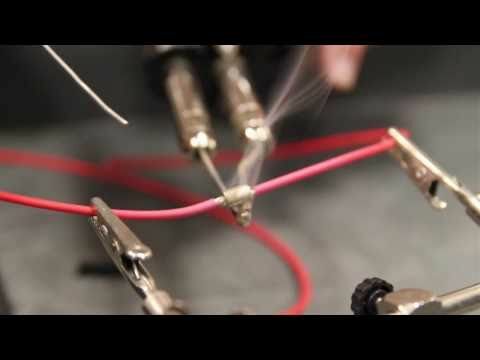 The following sensors are included: TPS - IAC - MAP - CTS - MAT - Wideband O2 ECU is certified to ISO 8846, SAE J1171 & United States Coast Guard Requirements for Ignition Protection & Fire Resistance. 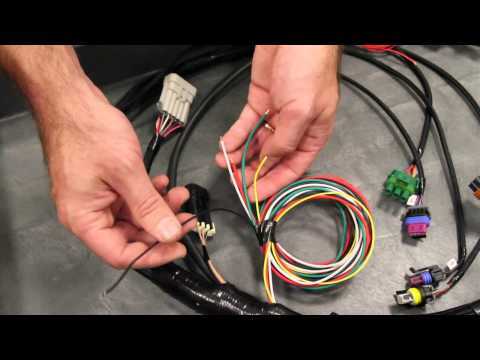 Holley HP EFI systems are equipped with 4 programmable inputs and 4 programmable outputs that are ideal for most vehicles with a single power adder. This feature allows the user to configure the system to support a wide range of controls including boost control, progressive nitrous, water/meth injection, speed inputs, fuel pump control, AC inputs, timing retard inputs and various other uses. When selecting an ECU, users need to ensure their planned controls can be run with the 4 inputs and 4 outputs as certain combinations may use more I/Os than are available. If more I/Os are required, users should choose the Dominator VMS. 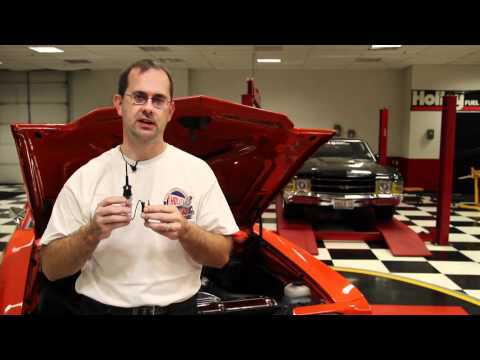 MPFI Systems do not include injectors or a fuel pump. 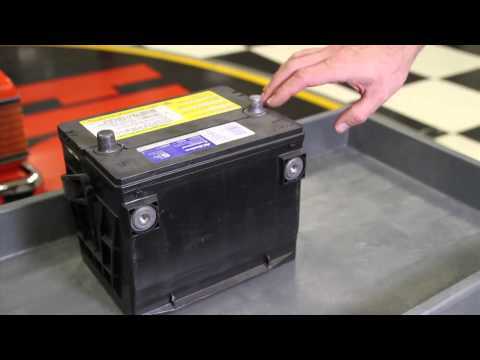 They need to be sized for the application and can be purchased seperately from Holley. 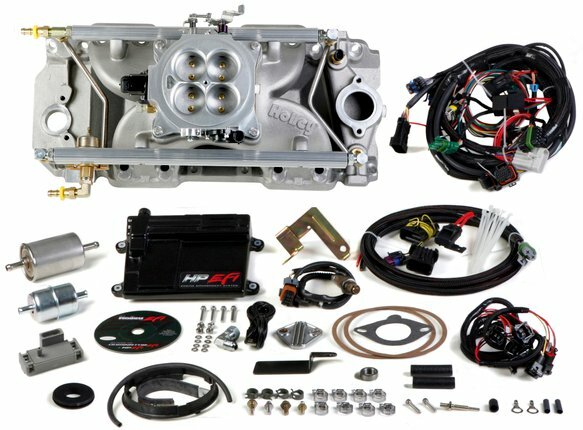 HP Multi-Port EFI systems for small or big block Chevys are ready for the street or strip with the simple swap of an intake! 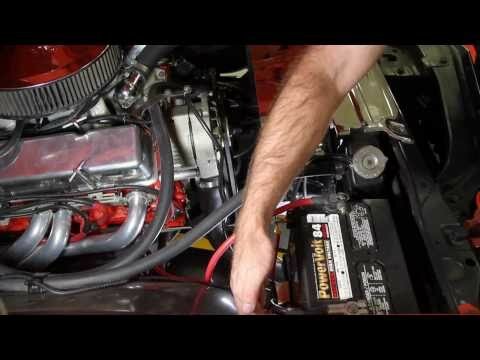 Whether you have a stock engine, crate or custom-built engine, HP Multi-Port systems can help you maximize performance! By utilizing a laptop (or the optional 5.7" full color touch screen LCD) along with the HP's self-tuning capabilities, the HP Multi-Port EFI system will get you to the cruise or race in no time. 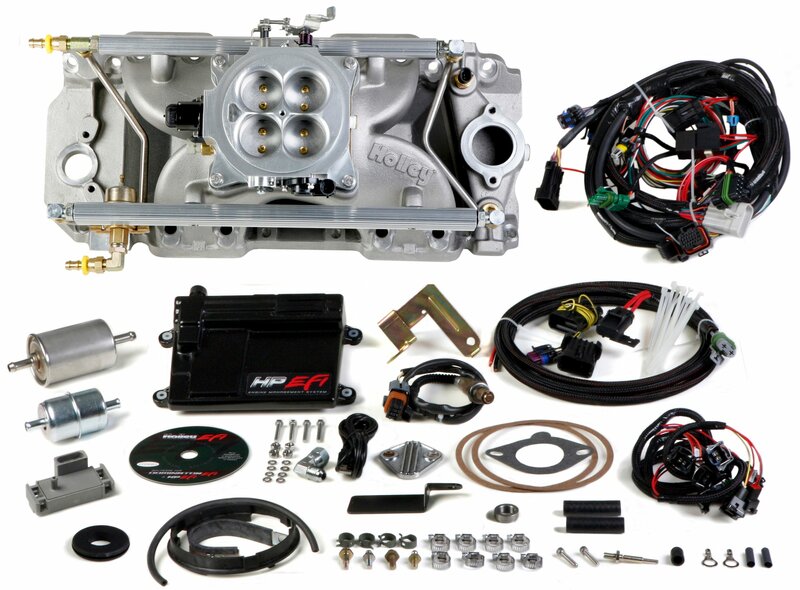 HP Multi-Port systems include: intake manifold, billet throttle body, ECU, wiring harness, fuel rails, and related small parts. Fuel pump and injectors are available separately to fit your requirements.